Does Kiloo's endless-runner offer enough to keep you going? Here we are then, another Monday and another coin-collecting endless-runner. Perhaps this is great news to you, perhaps you're a little skeptical about the worth of investing your time into yet another finger-swiping rollercoaster through upgrades and endless random environments. Swipe left and right to dodge static and moving train carriages. 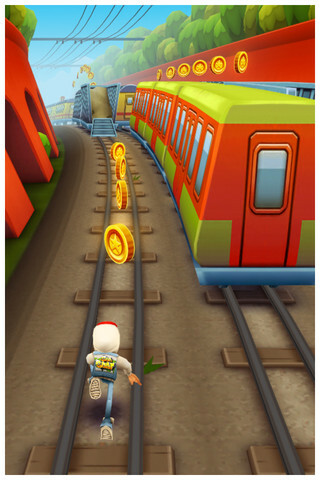 Rather than playing a dashing hero who leaps out of a temple with a precious idol, hoovering up as much loot as possible while dodging the clutches of the temple denizens, Subway Surfers features nothing deeper than a scamp on a skateboard, vandalizing trains and running away from a track inspector and his Pitbull dog. As with Temple Run, a gentle knock or a late-timed leap here or there will see the inspector temporarily catch up, while a full-faced slam into an oncoming train ends the run completely. To stave off any staleness in this mainstay of mobile gaming, the developer has thrown a few neat tricks into the mix: there's variety to be found in the pathing options for example, as you weigh up whether to take a shot at a risky (yet lucrative) run of coins, or stick to a safer option that keeps you well away from the path of the oncoming trains. Things get a little more frantic on the roofs of the carriages. You can also choose to head up ramps that take you onto the trains themselves, and this is where Subway Surfers really becomes interesting. While you need only concern yourself with dodging train carriages, or leaping and sliding your way past barriers when you're on the ground, once you're up on top of the trains you'll need to navigate left and right between them in order to stay aloft as they race towards the front of the screen. 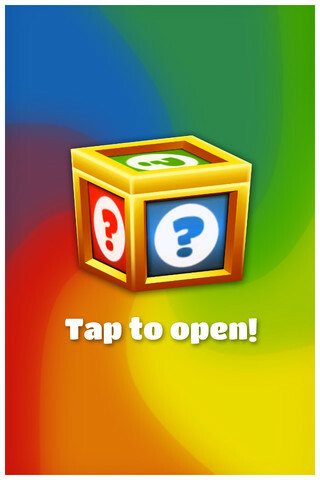 Making a most notable nod to Jetpack Joyride, Subway Surfers also offers up a few missions to keep the action interesting, although it's rather annoying to note that the details of the objectives is obscured in the main menu, and the page only references tasks you've already completed. To find out your next mission objective you'll need to access the mission page in-game. Odd. Random boxes confer random upgrades. Who knew? Head to the in-game shop and you can put those hard-earned coins to good use. Head-starts get you into the more enjoyable action a little quicker, or you can buy your way out of mission objectives completely which seems like a bit of a shame to be honest. To add a little spice to the gameplay, you can also invest in jetpacks, super sneakers which send you bounding higher, or coin magnets which draw all the lovely loot towards you as you run through the game. 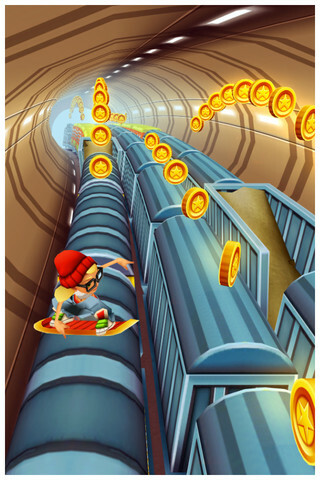 It can only be a matter of time until the coin-collecting endless-runner concept runs out of legs completely, but Subway Surfers offers up just enough momentum to keep the genre moving forward for now. Give it a go if you've grown tired of other favorites such as Temple Run or Jetpack Joyride. What's Hot: A nice concept with a few entertaining twists on what is fast becoming a tired genre. What's Not: In terms of upgrades and fundamental gameplay, you may already have had your fill of the game elsewhere.